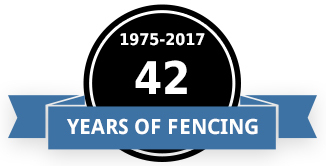 Rustic Fence Inc. offers a variety of sports fencing systems designed for athletic applications, including baseball field fencing, baseball backstops, tennis court fences and a range of other sports fencing. We have installation experience working on both small and large scale projects and custom build our products to fit your every need. Whether you’re a municipality looking for a contractor to help with a project or a resident needing help with a sport court fence, we can help. Due to the high wear and tear of certain athletic field applications like baseball backstops, it’s important to make sure that the proper product is used for installation. Also the proper product and installation is very important to the life of the structure. When choosing a contractor for your project, it’s important they have relevant experience in that field. 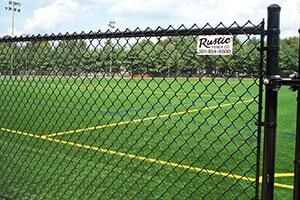 Rustic Fence, Inc. has the experience and knowledge acquired from years of serving Howard, Montgomery, Frederick, Carroll and Baltimore Counties and can be trusted with your next sports fence application need! Why Rustic Fence, Inc. To Build Your Athletic Facility? We’ve been building athletic field fencing and sport courts for several years now and have the experience, knowledge and craftsmanship. You’ll speak with our owners directly — no pushy salespeople or middlemen! Please review our athletic field and sports fence photo gallery and contact us today. Our highly trained, courteous personnel will visit your business or home for a complimentary evaluation and estimate. We provide athletic facility, fields and sport fence areas throughout the counties of Howard, Frederick, Carroll, Montgomery and Baltimore. Call us today for a complimentary estimate at 301-854-6500.